Bulusan, one of the most active volcanoes in the Philippines, is Luzon's southernmost volcano. It lies at the SE end of the Bicol volcanic arc occupying the peninsula of the same name that forms the elongated SE tip of Luzon island. Explosive. In historic time, frequent small to moderate phreatic and phreatomagmatic ash eruptions. Mudflows from loose deposits on flank are often generated when heavy rains fall (e.g. during taifuns). 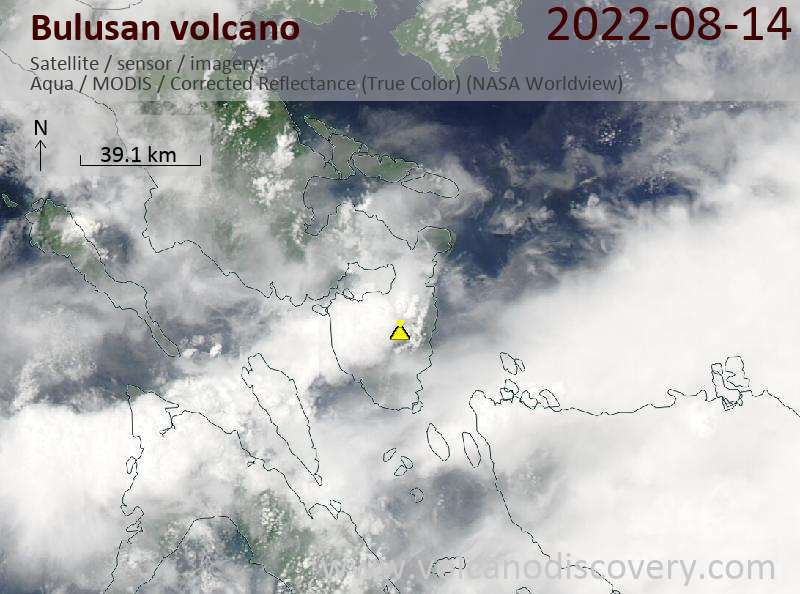 Early on 20 June, a new series of ash eruptions started at Bulusan volcano, producing a 3 km / 9,800 feet high plume. Ashfall spread to as far as 30 km away in Masbate and the noise from the explosion was heard up to 10 km from the volcano. 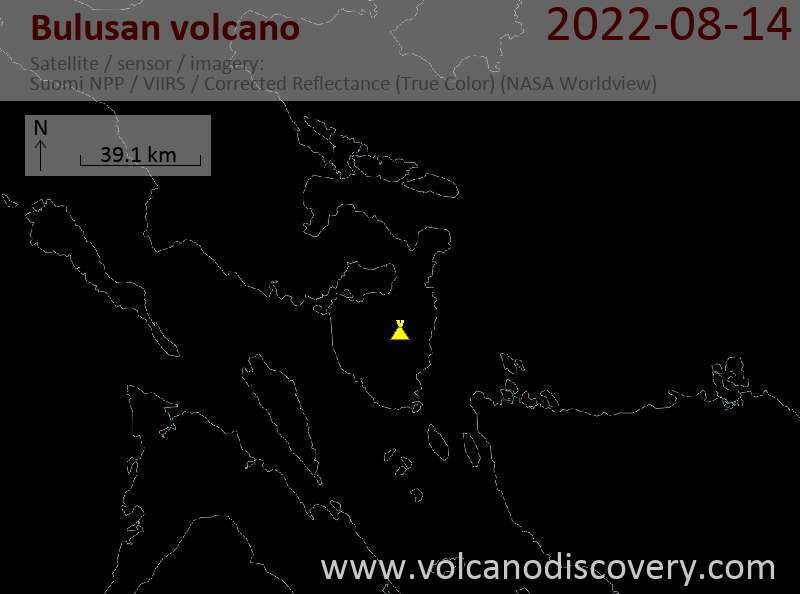 The eruption follows a series of intermittend explosions in late 2010, and PHILVOLCS believes it is phreatic in origin (i.e. no juvenile magma involved), although the size of the eruption rather suggests that there is at least a partial involvement of new magma reaching the vents. A 4-km exclusion zone is in place near the volcano and the Philippine government ordered the evacuation of around 2,000 people living nearest to the volcano.